An artwork painted by Banksy as a tribute to the victims of the 2015 Paris terror attacks has been stolen from the Bataclan theatre. 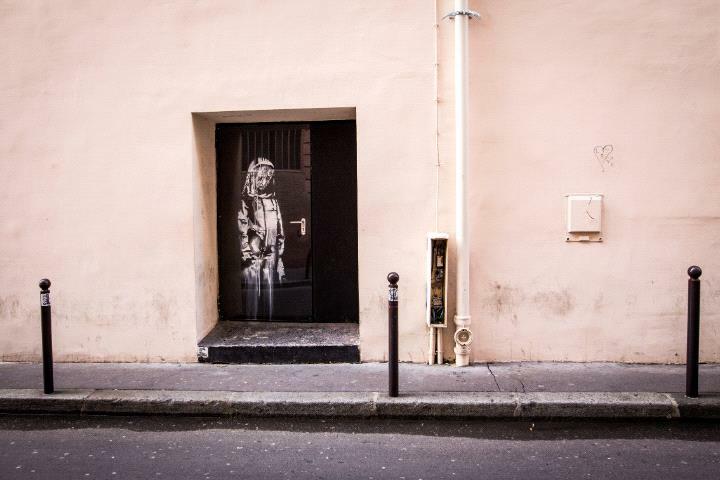 The celebrated street artist had stenciled a veiled female figure in a mournful pose onto a black emergency door of the Bataclan theatre, where 90 people had died. According to reports, a group of thieves used electric tools to cut away the door and load it into a van. "We are today filled with a deep sense of indignation," the Bataclan tweeted.